How do I install a bamboo teepee? One of our favorite affordable settings are bamboo teepees. Bamboo and the other required materials are inexpensive and readily available. The tools and skills required for installation are fairly basic. Bamboo teepees afford various types of open-ended play, ranging from elaborate moments of dramatic play to simple conversation. 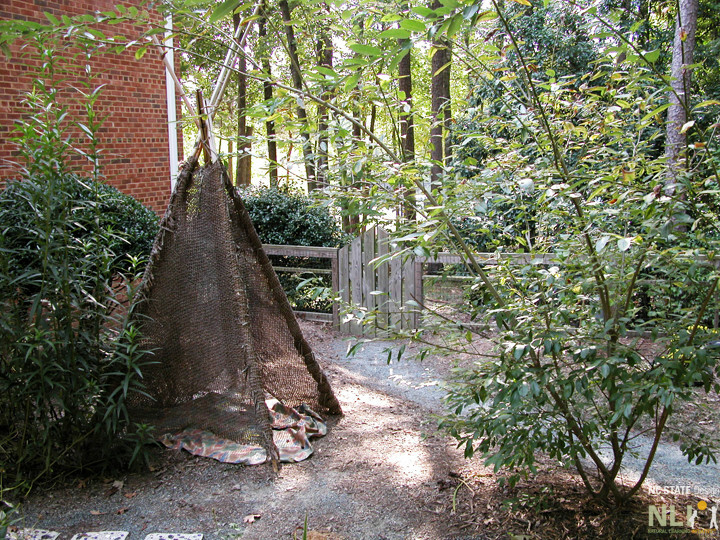 A bamboo teepee tucked into a naturalized outdoor learning environment. 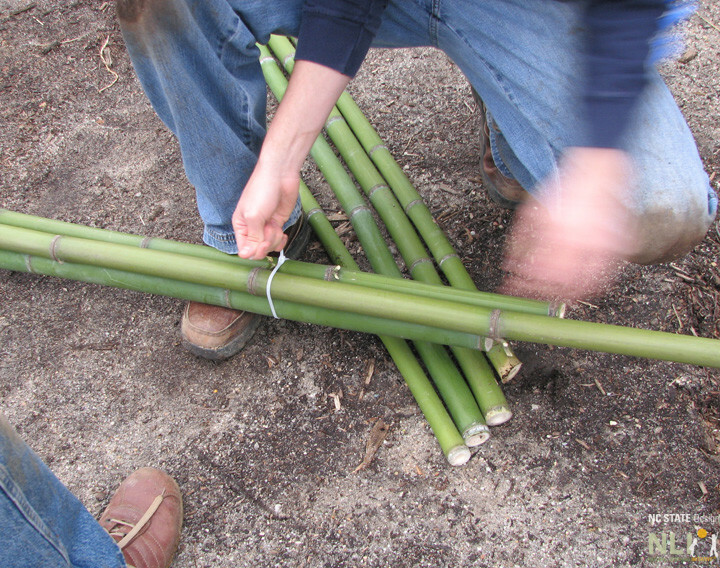 Zip ties bind the bamboo poles together. 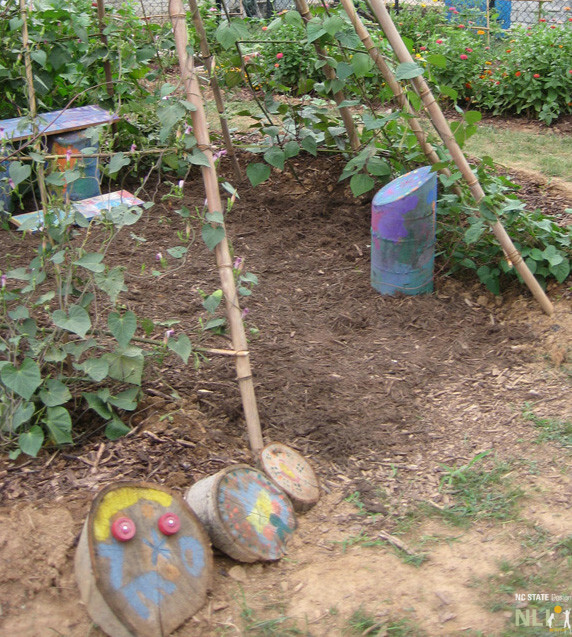 Children have added artwork to the entrance of this bamboo teepee. 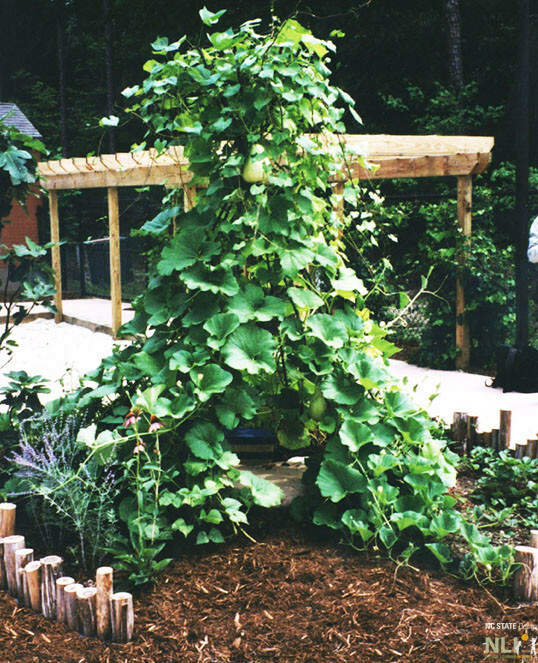 A vine covered teepee creates an affordable and affordance-rich play setting.